For diabetes I think there is a lot of material out there that offers quick-fix solutions. But I think the glycemic index has a lot of long-term benefits. And ultimately, if you want to control your blood sugar, this is something you should think of as a new way of life. Not just a fad diet. 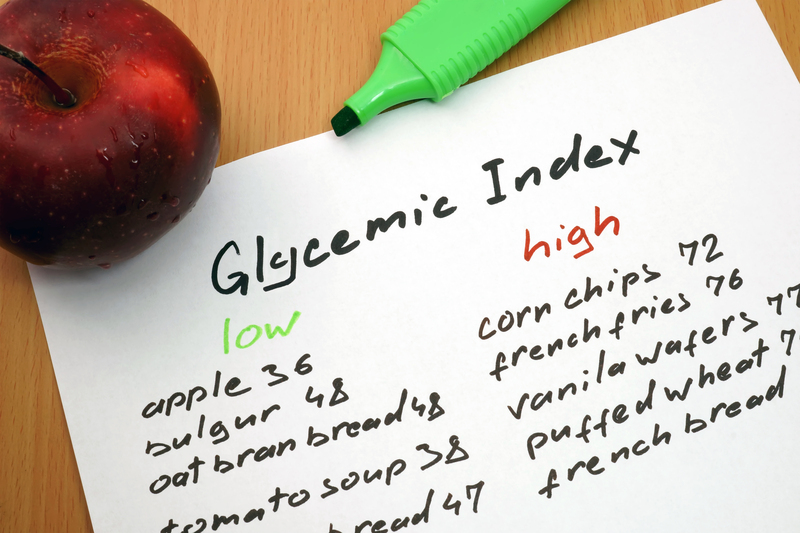 There is also a ton of information on the glycemic index out there. It’s endless. You have glycemic index diets, charts, plans, tools, counters, shopping guides, and handbooks. One thing is for sure, so much material is available on this subject for a good reason. It works! The glycemic index of the foods you eat play an important role in the fluctuations in your blood sugar. I’ve seen how important this is when I’ve been at health fairs doing screenings. I can remember this coming into play once with one person we screened for diabetes and found that her blood sugar to be very high. When asked what her last meal was she said she just had 5 donuts. If she instead had eaten a food with a low glycemic index her blood sugar would more than likely have been different. If you’re looking to lose weight or for the purpose of this article, control diabetes you may want to get your hands on a good resource in this area and make it the cornerstone of your diet. To summarize and quickly explain what the glycemic index is really all about, here it goes. The glycemic index measures how quickly food you eat gets converted to glucose. Your body uses glucose as a source of energy. For foods that are converted into sugar more quickly, they will have a higher glycemic index rating or number. And foods that have a lower score or rating, are those that are converted to glucose more slowly. When glucose is converted slowly it causes slower glucose spikes, which leaves you feeling full for longer. This is a key component of how this diet can help you control weight also. When glucose is converted more rapidly this causes more rapid glucose spikes after a meal, which is what we don’t want with type 2 diabetes. This also makes you feel hungry quicker since these foods are so quickly converted to glucose. Also, to make things worse a type 2 diabetic is usually insulin resistant so high blood sugar may continue to rise after each sugary meal. A food like a donut has a glycemic index of 76. While a food like kidney beans has a glycemic index rating of 27. Keep in mind that sugar has a glycemic index of 100. So the idea is to eat foods with as low of a glycemic index rating as possible. Because a food like sugar is quickly converted to glucose and spikes your blood sugar very quickly. For diabetics, the idea is to swap out foods with a high glycemic index rating with foods that have low ratings. Over time, this is how you effectively use the glycemic index to naturally control your blood sugar.